Facebook Inc., the world’s most popular social-media site, has a fake news problem. The company found that false advertisements from Russian troll farms, which intended to influence the 2016 us presidential election, were delivered to over 120 million users on its site – no small scandal. In the wake of these revelations, the company announced several new initiatives that, will make its advertising more transparent for consumers and advertisers alike. There is no guarantee they will be effective. But investors and advertisers don’t seem to care. The tech giant’s command of the digital advertising space is so monolithic that for all of the public’s outrage, Facebook has faced no financial backlash from the business community. In fact, its ad revenue is growing faster than ever. The company’s advertising revenue grew over 45 percent in the third quarter of 2016 alone, and 20.9 percent overall this year. Other major U.S. companies have faced far more serious consequences in the wakes of their own corporate nightmares. When a hack at Equifax compromised the personal data of almost half the U.S. population in September, the credit agency’s shares plummeted more than 13 percent overnight. After missing analyst expectations for this year’s third quarter earnings, social-media rival Snap Inc.’s stock dropped almost 20 percent within 48 hours. But when Facebook announced it handed over 3,000 ads believed to be Russian political propaganda to Congress in early September, its stock slipped for just one day before rebounding. It closed at $176.11 a month later, on Oct. 17, 33 percent above its price a year earlier. The new strategies it announced to fight fake news appear to have worked to appease advertisers and investors — even if those policies aren’t going exactly as planned. In late October, Facebook tested one of its new strategies to fight fake news—a new type of News Feed. It separated professional media posts from paid advertisements and personal posts, like your friends’ baby photos, in six small countries including Slovakia, Serbia, and Sri Lanka. The idea was that moving professional media to an “explore” page that was independent of users’ regular News Feeds would distinguish the news that came from reputable organizations. But credible publishers in those countries, like the small Slovakian newspaper Dennik N, were devastated by the effects. They said it caused traffic to drop 60 to 80 percent, because people weren’t seeing their stories in the main news feed. In light of this risky trial, Facebook’s stock dipped slightly to 170.60 on Oct. 25 after its month-long rebound. The dip was short lived, again. Facebook’s stock shot back up to $180.03, its highest closing price of 2017, just after Thanksgiving. The reality is that Facebook is a platform reaching billions of people — it can help drive brand awareness on a scale that few other social media companies can match, and at the end of the day an advertiser’s goal is to sell a product however it can. “On a high level they still have plenty of room to grow on their ad platform, they’ve taken a proactive stance getting out in front of the [fake ads] story, all of their competitors are doing similar things, and they have the confidence to pull it off,” said Anthony Campagna, a director at EVA Dimensions. Facebook immediately poured resources into getting ahead of the Russia revelations to alleviate potential investor concerns. Political advertisers will soon have to disclose their identities. 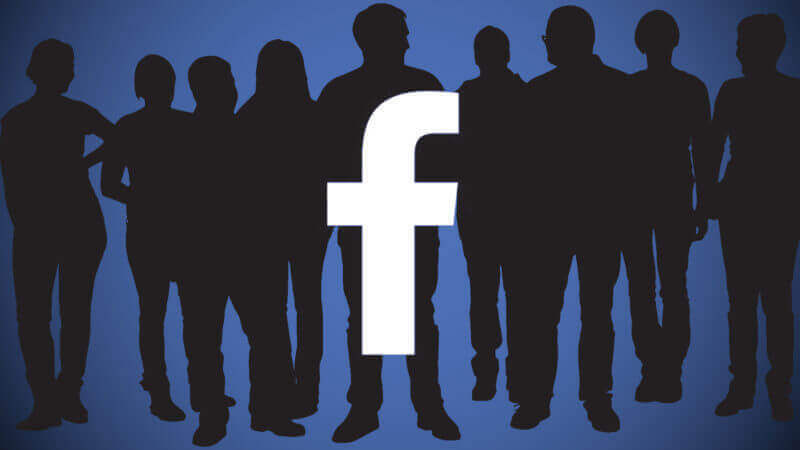 And Facebook’s engineers are working on a new tool that will show users how the ads they’re shown were paid for and who they were targeted to. The company is hiring at least 3,000 more real people dedicated to flagging and removing questionable advertising, as well as using Artificial Intelligence to track false ads. The tech giant is also collaborating with journalism programs across the country by donating millions to support media professionals in tackling the problem head-on. Its investments in security have not yet taken a toll on profits, which were just under $4 billion last quarter. The tech giant is worth more than ever as its global advertising revenue continues to soar, in large part because of mobile ad sales. After growing total ad revenue 47 percent in the second quarter this year, the company went on to exceed analyst expectations in the third quarter, growing it 2 percent further. Overall, Facebook controls almost 21% of the total U.S. digital ad market, second only to Google, which controls 42%. According to Emarketer, one out of every five digital ad dollars in the U.S. goes to Facebook. With its growing market dominance and the stock price remaining strong, Facebook is proving that its advertisers aren’t easily scared off. At the end of the day, its clients are trying to reach their target demographic, people who drink Pepsi, for example, and those people don’t have less value because they may have also scrolled through other fake ads in their feeds, Campagna said. The strategic initiatives Facebook has brought to the table show an earnest effort to remedy user concerns, said Wedbush Securities analyst Michael Patcher. Facebook users themselves don’t seem to care either. Most are aware that not everything on Facebook is “100 percent bonafide genuine,” and most aren’t worried about it, Patcher said. Many of the people being shown fake posts are being shown exactly what they want to see, so they don’t have an issue with it. 23 percent of Facebook users have admitted to sharing fake political news stories, according to Pew Research. Awareness of the problem is growing as fake articles and ads continue to proliferate across the social media platform. There is still a significant number of people who care enough to be concerned. 70% of people in an Edelman Trust Barometer survey said they worry about fake news being weaponized. No one can predict what might knock Facebook off its high-performance pedestal. But like all disruptions to seemingly invincible industries and corporations, Facebook may not see it coming until it’s too late.